We’re a newborn imprint (see tab About) and don’t have much product yet. 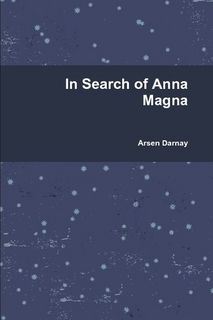 The first two volumes of a trilogy by Arsen Darnay are on offer. More about Arsen under another tab (Authors). The third volume is now being proofed and typeset. It will appear soon. The two books are briefly described here. We are also still working on a means to sell you the books directly on this site, but we haven’t got there yet. Nonetheless we are able to direct you to Lulu, our printer, where you can get these books on-line at the regular price. A Symphony in Ghulf Major is a great adventurous story, the canvas itself a future history of the tumultuous achievements, struggles, sufferings, and loves of a peculiar family established by their founder on blood, money, and contract—the Ghulf Accords. It traces history forward from the actual beginning of extra-solar space exploration to the discovery of a very strange system called Anna Magna. The first volume, Ghulf Genes, tells the story of the Ghulfs, of Never Never Planet, and of the darkening of times with the establishment of dictatorship in Region North America (RNA) and the flight of the Ghulfs from disaster. Each novel in the series stands alone—but maximum enjoyment comes from reading them in sequences: after all, it is a history, and knowing the past illuminates the future. The trilogy is at once a space adventure, family saga, and future history. Events on earth play a major role in the ultimate development of what, in that future, people call Earth, Mars, and the Eight Worlds. A central event separating Ghulf Genes from the next volume, In Search of Anna Magna, is a the devastating global plague known as the Red Rose. The last volume in the trilogy is Anna’s Song, a towering love story in one sense, in another the story of a monumental discovery that opens the path to deep space for humanity. The lens through which we see it all? The Ghulfs, Ghulfdom. And you may find, after reading these books, that you, too, belong to that clan. The Ghulfs, through luck, charm, and cunning manage to latch onto space-travel early thanks in part of government neglect and confusion. The old man of the Ghulfs develops Mars and, to preserve the clan, founds a “peculiar” family. The next generation takes it from there—finds the first ever habitable planet beyond this sun, the only successful venture of the so-called Privateer Migration. Next the Ghulfs manage to lose all! Why? The male and female sides of the clan go their separate ways and (certainly not incidentally) because a dictatorship engulfs “Region North America.” But the Ghulfs have good genes and don’t give up. Oh, no. They hide to await a brighter day. Wondrous visions, love stories, a brutal and bloody contest between two powerful families (Ghulfs and McCulloggs), unbelievable luck and misfortune, heroic and despicable figures, and never-to-be-forgotten characters will keep this story alive in your heart. 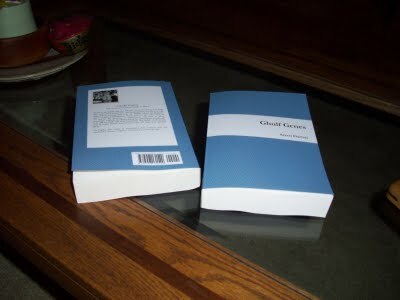 The novel is 525 pages in length, a trade paperback. You can get it from Lulu, Inc. The price is $29.24 and available here. This tale continues the Ghulf Saga in a later generation of the Ghulfs, by now enlarged into a world-wide clan. The story begins after a devastating plague lashes the earth. Nonetheless, the quest for Anna Magna, a “sky tremendum,” first glimpsed in Ghulf Genes, continues by the plague’s survivors—specifically a strong-minded young woman called Lotti. She is the first memorable figure of this generation, the last surviving member of the Pens of Clio. This story is the fulfillment of a prophecy we first heard about in Ghulf Genes. The pencliots are the guardians of the prophecy. We’re into the future now, and culture is definitely changing, despite the continued presence of modern technology. This volume is also a grand story of love and passion—and the tale of the so-called Restoration, the rebuilding of many things lost to the plague. And yes, we do get close to Anna Magna in the end. The novel is 619 pages in length, a trade paperback. You can get it from Lulu, Inc. The price is $31.51 and it is available here. More books are on the way! Please keep coming back.